You Dare Not Question the Students! RUSH: Back to the phones. Irvine, California. What a great place. I’ve been to Irvine, a very, very wholesome community out there. I once did a Rush to Excellence Tour in Irvine shortly after we got KFI. Here’s Michael in Irvine. Great to have you, sir. CALLER: Thank you for taking my call, Rush. Excellent informative program. RUSH: Thank you, well, that’s exactly what we strive for here. 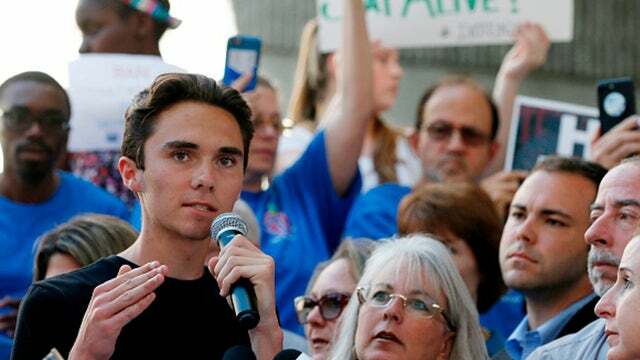 CALLER: I’m calling about the culpability of the students themselves for the Florida school shooting for what Cruz did. Was Cruz bullied, picked on, laughed at, socially isolated? CALLER: Those students were probably actively involved in this behavior. Meanwhile, other students passively stood by doing nothing. So, yeah, I’m calling out the students for their personal deplorable behavior that they need to confront. RUSH: You are a brave caller. Are you actually in Irvine or are you making that up to protect yourself? Don’t answer that. CALLER: It doesn’t matter, does it? RUSH: No. Don’t answer that. CALLER: I’m sure Irvine has lots of people. And you couldn’t track me down if you tried. CALLER: Fine. I could have said Volgograd, Russia, but I didn’t. RUSH: You could still be routing your call through any number of bad actor locales. You could be routing this call through Ukraine by way of Venezuela. So you’re right not to mention where you are. But I just want to say, I asked this question last week. Now, I didn’t say it as our caller Michael in Irvine has said. The way to look at this — and his question is right on the money. We’re told today that bullying is horrible, it’s mean-spirited, it’s destructive. I mean, it’s a major, major liberal issue, right? Wiping out and ending bullying. Okay. We were told here after the shooting that Nikolas Cruz was mocked, that he was laughed at, made fun of, that he was pointed at and whispered about and isolated and really treated very, very badly. I mean, people were really, really mean. And we’ve been told that this kind of behavior is condemnatory. We are to condemn it. Well, my question upon hearing this was, who did that? Who did the bullying? Who was doing the laughing? Who was doing the mocking? Who was being really mean? Who was pointing fingers and whispering as he walked by? And of course the answer to this is the other students. But you see, in the current aftermath, Michael, we can’t mention this, because — well, we just can’t mention this. You understand why? Even though we’ve mentioned it, we, we have about to drop it right there. We can’t pursue this because — well, we just can’t, because it doesn’t favorably compare with the image that we have. So it has to be not mentioned and dropped aside and left over there. And so in this case, that is irrelevant. RUSH: So I just checked the email. “Rush, you haven’t talked about the sponsor boycotts of the NRA.” Yeah, I did, at the beginning of the program. Folks, it’s another procedure right out of the Democrat playbook. It’s been done time and time again. It’s happened to me two or three times, and we finally… Look, I don’t want to bore you with the story. We found out who’s doing it, who they are, how they were doing it — and I will just guarantee you, all of you companies that are being bombarded? (sigh) You’re not being bombarded by nearly the number of people you think you are. This is straight out of how the community organizing left operates. Now, what… I’ll tell you how it’s being portrayed. The media is trying to say it’s something brand-new and that it is especially relevant and important because it is Millennials doing it. Millennial kids have had enough. 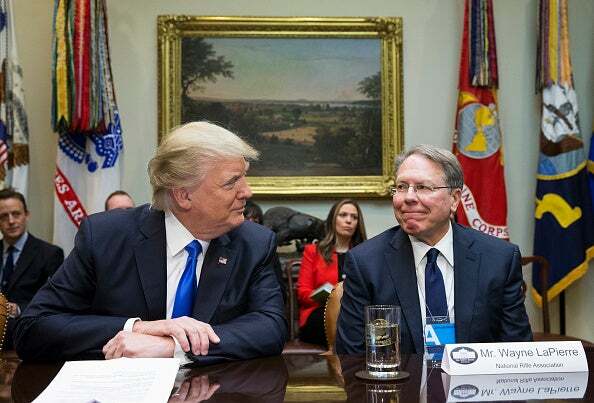 Millennials are fed up with the NRA, and they are leading these boycotts of any company, industry, whatever, that has any kind of a tie-in with the NRA, and that is to give it credence. It’s almost like saying the school students themselves are doing this, meaning it’s unassailable. You can’t criticize them. They were the victims here. You can’t! You cannot raise your voice. You cannot. So they’re being credited with spearheading this, they and other Millennials. And that’s not what this is. This is page 5 of the Democrat Party playbook, and it involves the clever use of bots. It has to be. And these businesses are… I’m telling you, they are being overwhelmed. They’re being inundated on Twitter and Facebook and their email accounts, and all of them look legitimate like real people behind them. Just like we learned the Russians got in on this. The Russians engaging in identity theft and actually stealing people’s identity so that if there was any check, a real person would be associated with a particular tweet or email when in fact it was a bot. But the Russians did not invent this. This is a uniquely distinct American program. It’s been going on long before the internet. Flooding advertisers with U.S. mail, flooding them with faxes, flooding them with phone calls. Heck, people in this audience have been calling Washington politicians for who knows how long. There’s nothing new about this! What remains unchanged is the degree to which recipients of these attacks are informed. They either know that it’s a bunch of bots and they don’t care (they don’t want to put up with the hassle) or they’ve decided that there is a political business benefit to publicly disassociating themselves with the NRA. There’s a lot of factors here. But I’m telling you it’s not legitimate to the degree that the Drive-Bys are reporting it to be. And, you know, a boycott doesn’t have the same kind of responders. Meaning: People opposed to the boycott do not anywhere near equal the numbers of people who appear to be in favor of a boycott. So I’m telling you it’s left-wing community organizing. It’s right out of whatever playbook they use and there isn’t anything new about it. In a sense it’s very frustrating ’cause it’s not all fake, but much of it is. I would say, on balance, most of it is. RUSH: Well, no. A company like United and Delta have discount programs for the NRA members, and they’ve announced that they’re ending them, ’cause they were besieged, you know, with these so-called legitimate complaints from Twitter and so forth. It’s just too pat. You know, it’s just too perfect, and it happens every time, and yet people continue to fall for it, and it’s kind of a shame.